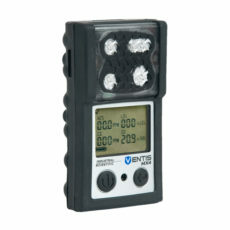 A portable single-gas detector is a PPE designed to detect only one gas. As it is compact and lightweight, it can be placed close to the respiratory tract without disturbing mobility. Designed for workers evolving in hazardous areas, portable gas detectors are well suited for increasing safety in all industrial work environments. A disposable gas detector, also known as a limited life gas detector, runs continuously for two years: once turned on it cannot be switched off anymore. 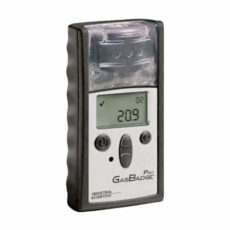 This extremely easy-to-use hand held gas detector is as efficient as a classic non-disposable device. The main benefit of a disposable equipment is that it requires almost zero maintenance. However after two years of operation the device definitively turns off and is no longer usable. 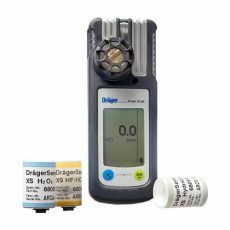 Disposable gas detectors are mainly used as oxygen detectors (O2), or as personal H2S monitors (hydrogen sulphide). There are also versions of the disposable device for carbon monoxide (CO) and nitrogen dioxide (NO2) monitoring. 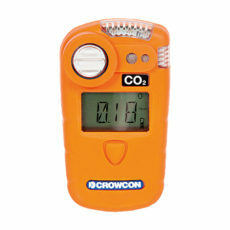 To detect other dangerous gas concentrations it is required to use a non-disposable personal gas monitor. 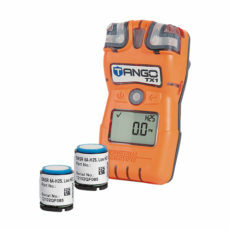 Compared to disposable gas detection devices, portable single-gas detectors feature enhanced functions. 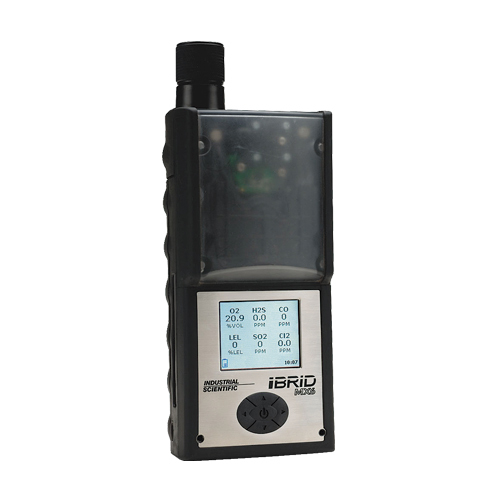 This personal protective equipment operates with a battery pack or rechargeable batteries, it can record measured gas concentrations and store data of the gas alert events. 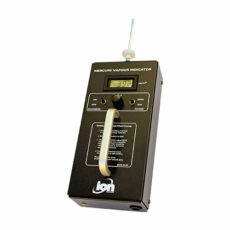 A single gas monitor, as a long lifespan safety unit, needs to be regularly calibrated and periodically checked. A classic portable single-gas detector can measure the concentrations of a large range of toxic gases such as combustible gas, volatile organic compounds (VOC), as well as CH2O, CL2, CLO2, CO, CO2, ETO (C2H4O), H2, H2O2, HBr, HCN, HCl, H2S, HF, Hg (mercury vapors), HNO3, N2H4, NO, NO2, NH3, O3, PCl3, PH3, and SO2. 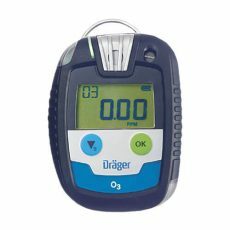 It can also be used as an oxygen gas detector (O2 detector). 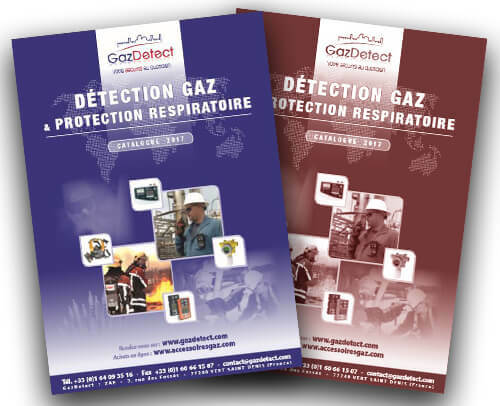 Almost all our portable single-gas detectors are available with our 2-year All Included Maintenance program. This service is designed to forecast the calibration and the periodical maintenance of your device for two years starting on its purchase date. At the end of the two years it is possible to renew the All Included Maintenance service for two more years and so on. 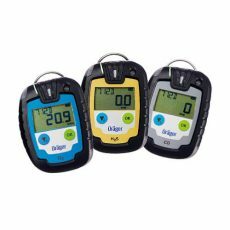 The Microtox IV portable gas detectors automatically detects a sensor type, its target gas and alarm thresholds. Interchangeable sensors are ready to operate within a minute after start-up. Gas detection: ethylene fluoride, ethylene oxide, ozone, phosgene, silane and THT. 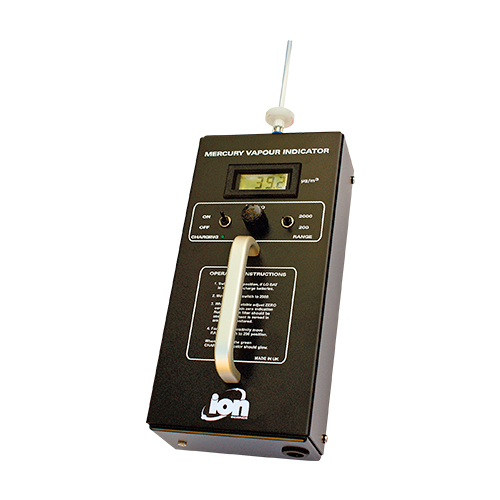 The single-gas detector MicroTox IV has been especially designed to detect toxic gases (hydrogen fluoride, ethylene oxide, ozone, phosgene, silane and THT). 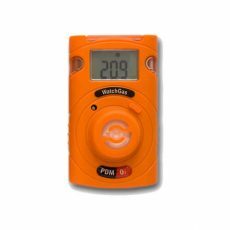 This small and lightweight single-gas detector features a large display which allows direct and easy reading of gas concentrations. The integrated data logger records all events: gas concentration with time, respective alarm level (1, 2 or 3) and the average values for the short-time and long-time values. This data logger can save up to 200 events - older data being overwritten. An infrared interface can be used to directly transfer the data to the docking station after usage. 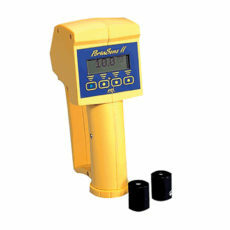 This infrared interface also allows users to perform daily bump test as well as calibration in a very short time. The MicroTox IV is can be securely fastened to the user’s clothing with a durable crocodile clip. Its powerful audible alarm (95 dB) can be heard even in noisy conditions. The three alarm levels have different frequencies to avoid confusion with machine noise. In addition, the 2 ultra-bright LED alarm will flash to alert of hazardous concentrations. The MicroTox IV can continuously detect gases up to 9 months with only one alkaline battery. Once the battery is replaced, the detector can immediately operate. MicroTox IV personal gas monitor is designed for a use of several years with only sensor and battery replacement with no need for purchasing another disposable device. The large and intuitive screen displays battery status (a low battery is indicated with an audible alarm) and gas concentrations. Moreover, a confidence beep can be activated to remind user in regular intervals that the device is working. As inaccessible areas like tanks and containers can contain deadly gas mixtures, the MicroTox IV can be equipped with an optional high-performance pump that can sample gas from up to 30 meters away. The MVI is a portable gas detector designed to monitor presence of mercury vapors. 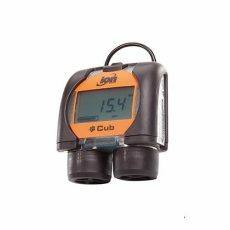 It features a high performance pump for swift and accurate measures. For many years mercury was an important additive in paints, cosmetics, pesticides and rubber flooring. As this extremely toxic substance can be absorbed through skin, it is essential for industries using mercury to get protected against it. One of the best solutions to detect and monitor presence of mercury is the MVI portable detector. 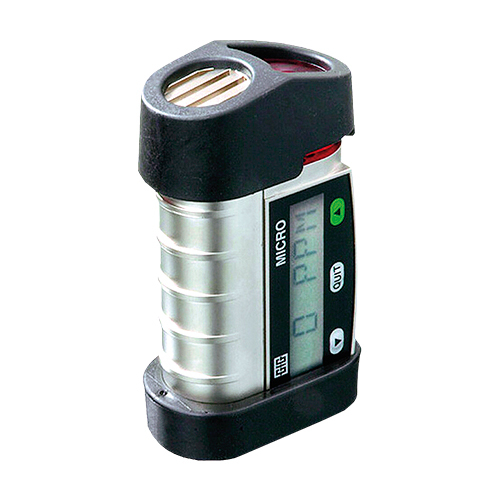 The Mercury Vapor Indicator – most commonly known as MVI – is a portable gas monitor especially designed for accurately and quickly detecting hazardous mercury vapors within 3 seconds. 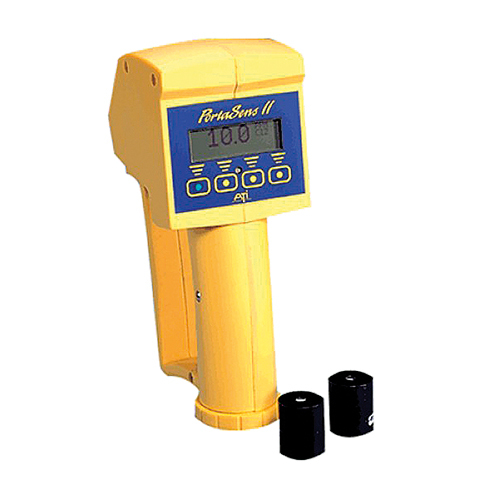 The MVI portable detector features dual beam UV absorption technology and ability to measure high concentrations of mercury without saturating. As a consequence, the instrument requires no regeneration between readings which eliminates downtime period. Fast and accurate, MVI gives a real time response and takes only a few minutes to operate. It provides continuous readings and offers two detection ranges: 0.1 to 200 µg/m3 or 1.0 to 1999 µg/m3 which is ideal for time weighted average (TWA) monitoring.